Submitters seek to send a copy (or copies) of bills to additional third parties after sending them for reimbursement to insurance carriers and bill review companies. Submitters ore required to generate multiple transactions in their billing system, or are required to process the information manually and send via LEH mail. 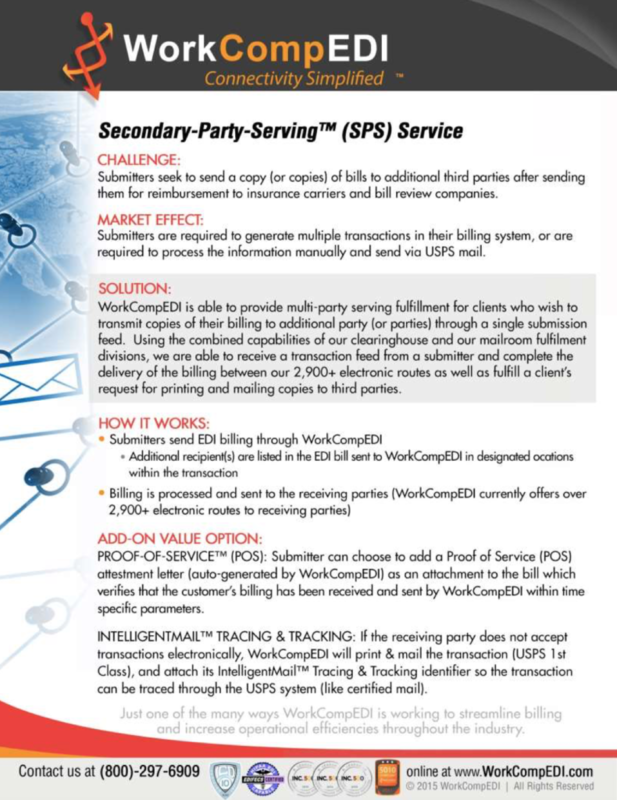 INTELLIGENT MAIL TRACING & TRACKING: IF the receiving party does not accept transactions electronically, WorkfornpEDI will print & mail the transaction (U SIDS 1st Class), and attach its IntelligentMailTm Tracing & Tracking identifier so the transaction can be traced through the UPS system (like certified mail).